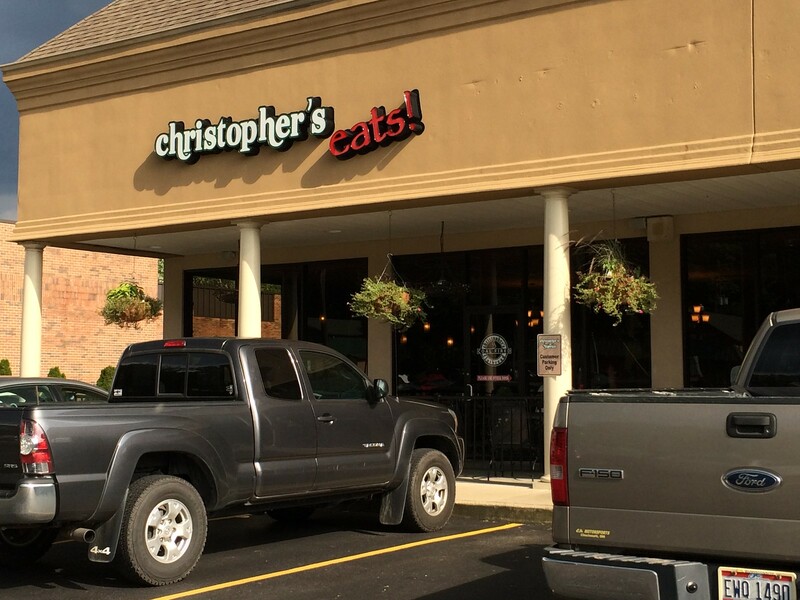 Christopher's Eats was recently listed in the 101 unique places to dine in WV list. 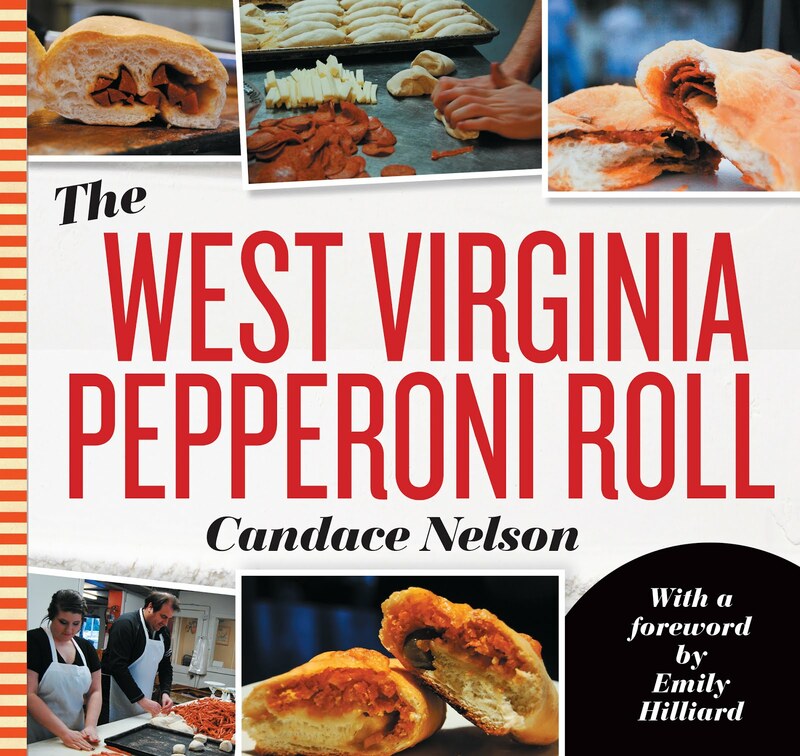 The restaurant boasts its coal-fired oven and flatbreads, which are baked to perfection at 900 degrees, according to the website. 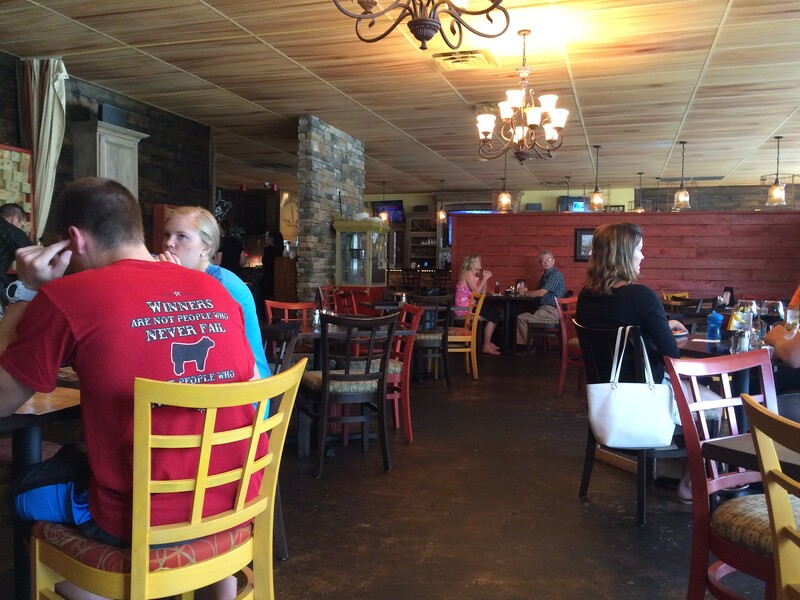 The Barboursville restaurant is located in a strip mall, which I wasn't expecting. But at least there is ample parking. The menus have also seen better days, but I was easily able to make my way to the "Artisan Flats." 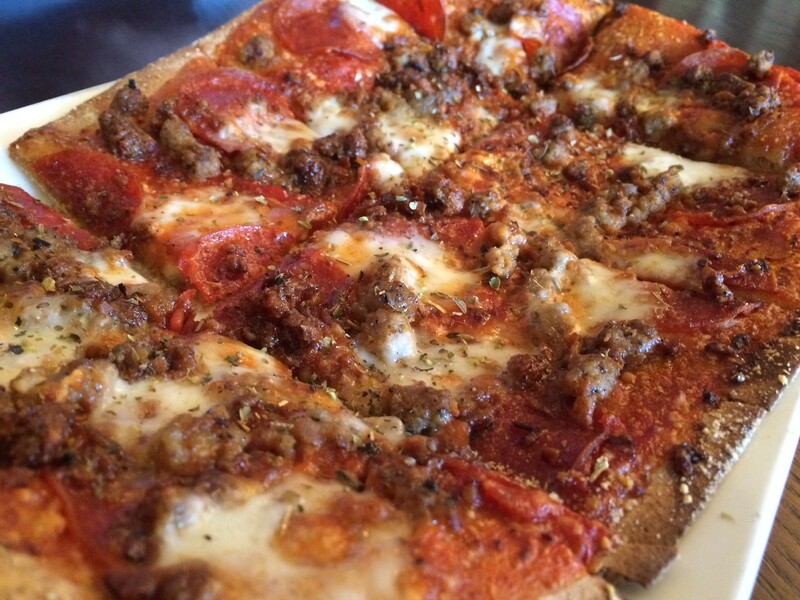 Tom went with the "Ms. Piggy" flatbread, which has red sauce, pepperoni, pork belly, sausage, mozzarella and romano. I think he was OK with it; just not in love with it. Mostly pepperoni and sausage - kinda missing the pork belly. 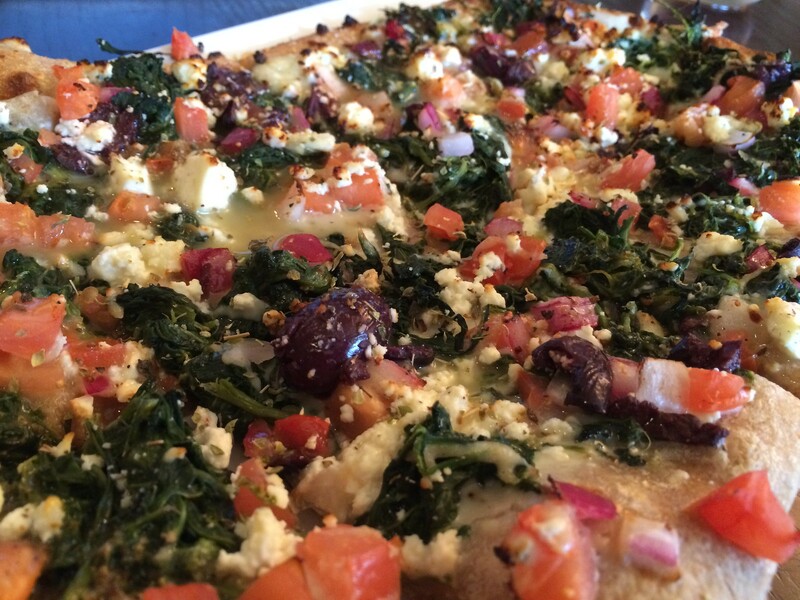 I ordered the greek flatbread, which has white sauce, romano, roasted garlic spread, olive, red onion, tomato, spinach, feta, oregano and greek vinaigrette. Totally beautiful, right? It's gorgeous. And the first bite or so was good - nice chunks of feta and a little crunchy red onion. Then as I got inward, the vinaigrette kind of consumed everything, making it soggy, and the flatbread itself wasn't crispy. So everything just kind of ended up being mush. I couldn't pick up a piece to eat; I used my fork and knife to take a few more bites until it was just too soggy to be appealing. I think if the flatbread was crisp and had an actual crust, that texture difference would have been key. Maybe less vinaigrette to avoid that sog factor. That might also mean less toppings - I'm OK with that. But everything just getting mushy isn't super appetizing.